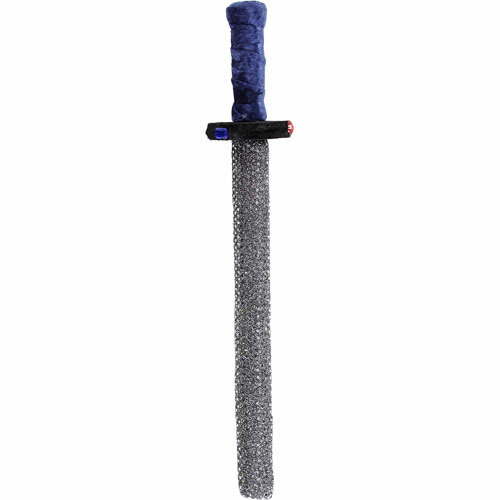 This deluxe play sword is shiny and sparkly with jewels in the hilt. It has a semi-rigid core with foam surrounding it, so the sword holds its shape, but is relatively soft and flexible for battles without injury. Comes in assorted colors - you can request a specific color, but we cannot guarantee that we have that in stock. 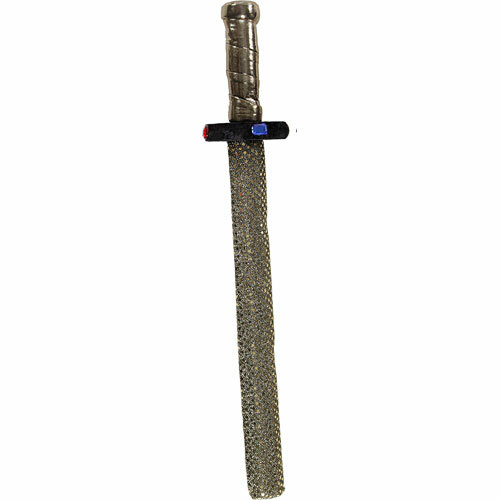 Please contact us if you would like to check if we have a particular color in stock.